The massive ongoing civic insurrection in Nicaragua represents the collapse of the Ortega governing model. Its terminal crisis takes the form of a desperate and deadly campaign of repression that has reached levels which many of us thought even Ortega was not capable of. It is a cleansing campaign, he claims, to do away with the hundreds of trenches, roadblocks and barricades which cut off entire neighborhoods and at least one major city. For over a decade, Ortega has been able to minimise social contradictions through massive injections of Venezuelan oil resources (petrodollars) that were privatised by his family. But this ended up aggravating the contradictions, as some “Sandinista” officials dedicated themselves to getting rich, allying themselves with big business. The collapse in Venezuelan oil revenues brought with it fiscal problems which affected, among other things, the social security regime. Acceptance of IMF conditions resulted in pension cuts and increased quotas for the private sector. Students protested, but instead of the usual roughing up by the police, the government gave the explicit order (no mistake) to shoot. Thousands then poured into the streets, and barricades went up across the country. Ortega responded with more killings and mobilised paramilitary forces. Despite supporting the positions espoused by Hugo Chávez with abundant internationalist rhetoric, the “talk left walk right” regime has maintained a very close relationship between its army and the Pentagon (Southern Command). It has collaborated intimately with the US on issues of migration and drugs, defence of free trade treaties with the United States, adherence to the World Bank and IMF formulas, and the provision of facilities for the “maquila” industry, in which companies assemble products for the US on a free trade basis – offering a combination of submissive trade unions and the lowest wages in the region. Ortega is the enemy of Sandinismo, but tragically the longer he struggles to murderously remain in power – more than 300 killed in three months – the more difficult it will be to build a new left in Nicaragua, and the greater will be the embarrassment of the official statist “left” which internationally continues to support him. Surprisingly, there has been no internal protest within the Sandinista National Liberation Front (FSLN). This is the final evidence that it has disappeared as a thinking political organization. 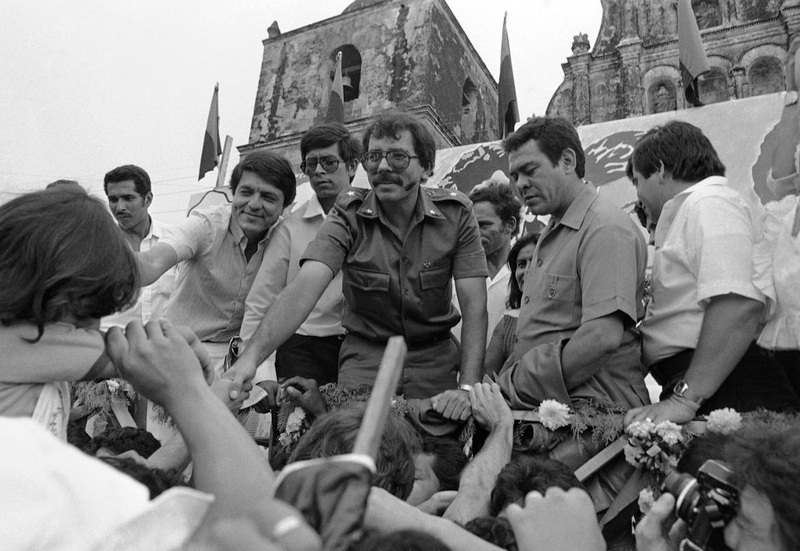 It has virtually disappeared as a political party as a result of Daniel Ortega’s “privatisation” of the apparatus, removing rivals and other historical figures identified as Sandinistas. The regime’s days are numbered because it will be impossible for it to recover its limited legitimacy, either domestically or on the international scene. But is this the end of “Sandinismo” and of the 1979 revolutionary dream that inspired the world but has now turned itself into a hideous nightmare? The social must propel the political. This means that the Sandinistas on the streets opposing Ortega and all other progressives in the social movements have to work together. We recognise that the terms “socialism” and “left” will be rejected as long as Ortega invokes them. And unfortunately it complicates the picture that on the one hand the orthodox Old Left mechanically aligns with Ortega, and on the other hand imperialism and the international right wing opposes him. What it means to be a leftist, a revolutionary leftist, a revolutionary leftist in Nicaragua today, is a pending discussion, but for now the principal objective is to build the broadest possible opposition to rid the country of the presidential pair, Ortega and his wife, the Vice President. Secondly, we must stop the repression. If we have learned anything from the civic insurrection, it is that the more horizontal the social struggle and the more diverse the organisational structures, the greater the effectiveness of pressure against the regime and the demand for resignation of the presidential pair. The regime has not known how to respond to a non-violent civic strategy devoid of vanguards and weapons. Such a strategy however must be fluid enough to give up direct confrontation where necessary, in favour of longer term sustained forms of organisation and resistance. And what of the international “left”? There is no denying the frustration felt by much of the Nicaraguan and Latin American left at having to confront a government that calls itself left – fighting against the person who was once widely admired precisely because he called himself revolutionary fighting a dictatorship. A person who is now emulating the practices of the very dictatorship that was overthrown. Is there really any difference between left and right, between fascism and revolution, if they employ the same tactics? But that outrage is all the greater when the scenario of virtual state terrorism is accompanied by the support or the silent complicity of political leaders, intellectuals and self-proclaimed reference points of the international left? Are they so enamored of governmental power that they will overlook criminal behavior simply because it all forms part of an abstract geopolitical chessboard? Does this justify remaining silent in the face of the trampling of the most basic freedoms and the execution of student and peasant leaders? 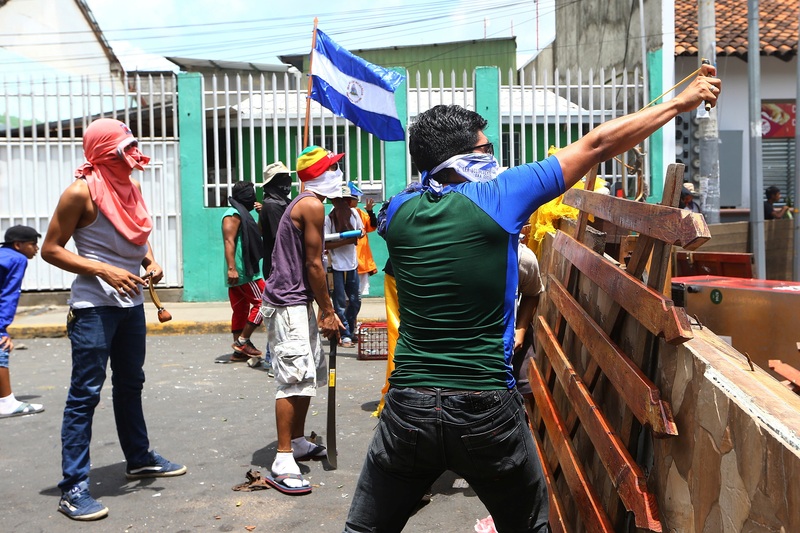 Much of the orthodox left has ignored Nicaragua or, following events, remained cowardly silent. Denying reality will damage our cause and benefit the very forces that we say would benefit from the left speaking out. Dictatorships we despise and dictatorship that are OK? Where is the principle? When did we forget that constantly uncovering the truth can only strengthen the left morally and politically? Alejandro Bendaña is the former Secretary General of the Nicaraguan Foreign Ministry and Ambassador to the UN, founder of the Centre for International Studies in Managua and author of the biography of the guerrilla leader Augusto César Sandino who inspired the building of Nicaragua’s Sandinista movement. Issued by adacdemics and activists from Ecuador, Argentina, Uruguay, Peru, Spain, France, Chile, Bolivia and Mexico. As intellectuals, social activists and academics, we hereby express our deep rejection of the extremely grave situation of state political violence and violation of human rights taking place in Nicaragua, under the responsibility of the Ortega-Murillo regime, which has resulted in some three hundred dead in the last three months. Indignation, pain and a sense of historical frustration is doubled when such a political aberration is the product of leaders and governments who call themselves “left”. What could hurt more than the irony of a leader who calls himself revolutionary emulating the criminal practices of the dictator against whom he chose to fight? And that outrage grows more intense when this scenario of state political violence is accompanied by the silent complicity of political leaders and intellectual and self-proclaimed leftists. To speak out against the trampling on the most basic freedoms and rights carried out by the current Nicaraguan government is not only a humanitarian duty of solidarity. It is also an act and a collective call to defend the revolutionary memory and to try to avoid the consummation of this ongoing political degeneration. There is no worse larceny than the political defrauding of peoples. There is no worse looting than that which is aimed at destroying rebellious energies for a just world. There is no worse imperialism than the internal colonialism that becomes oppressively violent, coated with anti-imperialist rhetoric. All of this is happening in Nicaragua. The land that was once the fertile symbol of emancipatory hope in the late 70s has become one more site of authoritarianism. Sullied is the memory of one of the noblest and most hopeful revolutions of our America, as was and remains Sandino. The memory of the anti-capitalist struggles of a suffering but brave people are now trampled on in an attempt to cover up the typical ordinary violence of another dictatorship. The former revolutionary leader, honoured by the confidence of his people, today is a dictator, blind with power and with his hands stained with the blood of youth. Such is the violently bitter landscape of our beloved Nicaragua. We raise our voices to publicly condemn the dictatorship which the Ortega-Murillo government has become. We express our solidarity with the people and the youth today, who once again have risen in resistance. We support and join their demands for dialogue and peace, to put an end to the illegitimate and criminal government that today usurps Sandinista memory. We do it with the conviction that it is not only “saving the honour” of the past, but above all rescuing and caring for the emancipatory seeds of the future, which today are at risk.